In August 2010 Naturaliste Vintners was one of the first businesses in Australia to be audited and formally certified to meet the standards of Entwine Australia. Naturaliste Vintners is a locally owned custom crush winery located in the Carbunup sub-region of Margaret River. The combination of climate and ancient geology make this area ideally suited to grapevines and hence our enterprise of winemaking. We seek to conduct business in a manner that recognises the importance of environmental protection, sustainability and quality of wines. We are committed to minimising environmental impacts in all our operations. Our philosophy is to make the highest quality wine, using sustainable, holistic and environmentally responsible practices. We consider the Carbunup property and our activities as part of an entire ecosystem which includes pastures, surrounding bush, tree lines, dams, neighbours and our waste water treatment system. Our aim is to leave the next generation an ecosystem which is stronger and more balanced than that enjoyed by the current custodians. 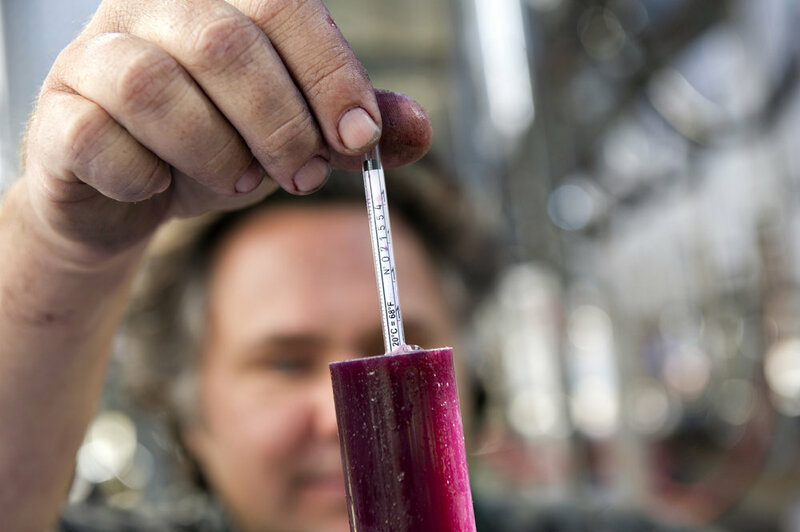 We specialise in using multi-disciplinary science and experience to help us understand winemaking, and thus how we can improve on these processes. Particular areas of interest are optimising and improving wine quality while minimising the use of processing aids and waste generation. Naturaliste Vintners strives to maintain and improve on ecological efficiency by exploring and challenging cleaner production methods.